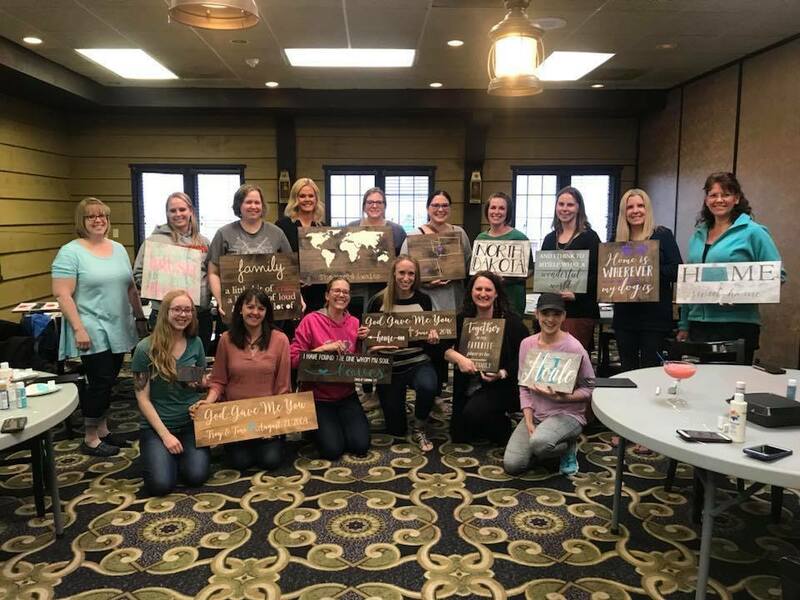 Wood painting parties are a twist on the traditional wine and paint parties however there is no skill required for this and you will be proud to hang your creation on your wall! You can choose from a variety of designs and step-by-step guidance will be provided. Unlike canvas parties, there is NO FREE HANDING involved! It’s so easy, even kids can do it! There are images uploaded to this event which outline your stencil designs, sign sizes as well as stain/paint options. Any of the state designs can be customized to the state of your choice. If you are choosing a sign with a last name/est date, please include that info so I can customize your stencil. Please let me know which design, size and stain you are wanting ASAP so I can prep the signs and have them all ready for the party. You can message me on Facebook (Elyssa Retterath) or post to the party event page. You do not have to choose your paint colors until the night of the party. If you want to paint more than one sign, be my guest! If you have a custom design you would like made, I can create them for $10 extra. Just message me your ideas! If you would like to personalize any of our current design options, there is a $5 charge. This includes any of the last name/est. date signs or if you want to make changes to any current design. I take payment the day of the party and can accept cash or credit cards. For credit cards, there is a 3% processing fee added on to your total. NO CHECKS WILL BE ACCEPTED. Check out my Etsy Shop and Facebook page below!